Honeycomb Studio now supports Active Directory integration in single sign-on deployments. The Honeycomb Studio roles assigned to each user can also be optionally managed from Active Directory – when enabled, a user's Honeycomb Studio role(s) will be dynamically updated depending on the Active Directory group(s) that they belong to. 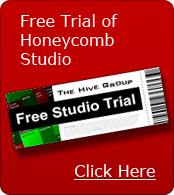 Single sign-on access to Honeycomb Studio can be limited by the Active Directory group that a user belongs to. First time users of Honeycomb Studio can be automatically assigned a predefined set of Honeycomb Studio roles – securely providing new users immediate access to the Honeycomb Studio environment. For nearly 14 years, The Hive Group has exclusively focused on only ONE visualization type: the treemap interface. Hive focuses on treemap deployments because of their very high utility, unique effectiveness, and ease of use by broad ranges of users. In contrast, most visualization providers in the data discovery market try to offer dozens of different visual metaphors for representing data...choosing breadth over depth. Not unexpectedly, this diluted focus results in treemap capabilities that often fall short of enterprise requirements. Jay Srinivasan is responsible for business analytics and global reporting at Sitel (www.sitel.com), and manages a company-wide Honeycomb deployment for global performance analysis. “To us, the big difference with The Hive Group is they listen to enterprises such as Sitel and incorporate our business needs into their product road map,” commented Mr. Srinivasan. The Hive Group specializes in data discovery and visual analytics, developing advanced treemap interfaces for operational and financial analysis. Customers include major manufacturers, financial services organizations, logistics companies, natural resources companies, military branches, and many government agencies. The company’s interfaces are used to analyze performance, manage assets, identify anomalies and trends, assess risk and compliance issues, and more. The company’s patented Honeycomb® software has been commercially available for over thirteen years; and is its flagship offering. Sample Honeycomb applications are found at www.hivegroup.com/gallery/. The Hive Group also offers HiveOnDemand, the world’s first cloud offering dedicated exclusively to treemapping. HiveOnDemand is found at www.hiveondemand.com. The Hive Group is privately held with headquarters in Richardson, Texas. For more information, contact 972-808-0400, info@hivegroup.com, and www.hivegroup.com.